I hate face masks. I recently tried a guava peel-off mask, and it stayed stuck to my face and my towel because apparently it had to stay on for 30 whole minutes. Since I only had about 15 minutes to spare, I had to try to peel it off halfway through, and my face was burning and sticky and just an all around mess. I also use acne products, which already make my skin more sensitive, so you can imagine that peeling the gel face mask off my skin was no fun whatsoever. My go-to daily face mask is one that my best friend gave me last year. 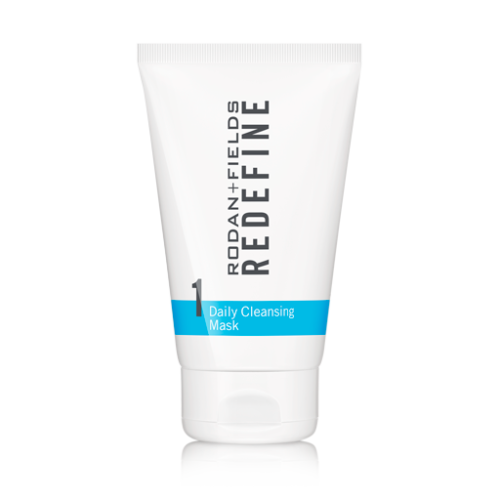 It is Rodan & Fields’ Redefine Daily Cleansing Mask, part of the blue line Redefine Regimen. This face mask is meant to be used daily, so it is not too thick, but also won’t easily wash off. A face mask has to penetrate deep into your pores so that it will pull out impurities compared to a face wash that just cleans the first layer of skin. 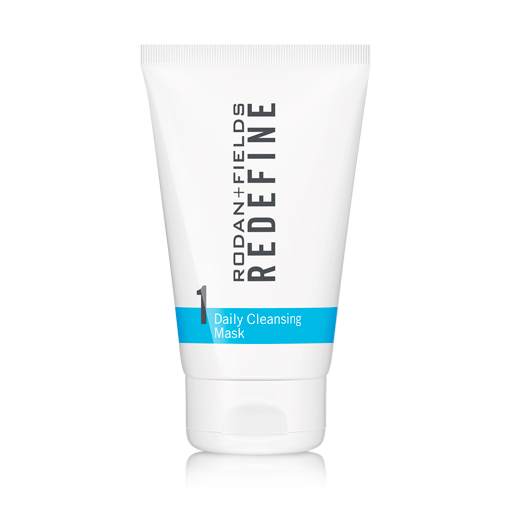 The mask is kaolin clay-based so it will dry on your face, but is not like a gel that will hurt when you peel it off. Basically, it just washes off with a little bit of deep rubbing. It leaves my face very bright and super soft. The reason I keep using this mask is because of how I get this bright look, which ends up evening out my skin tone. There must be some light illuminating ingredients in the clay because on days I forget to use it, my face is dull and matte. I don’t use a makeup remover because that dries out my sensitive skin. So using this mask takes off my eye makeup enough so that I then just sweep under my eyes with a cotton swab. The key to finding a good daily face mask is for it to be something that doesn’t change the pH balance of your skin every time you use it. Rather it works with your skin and cleanses it, but leaves it moisturized. Too much of a good thing is never enough for your skin, but the face mask I use is intended for daily use. 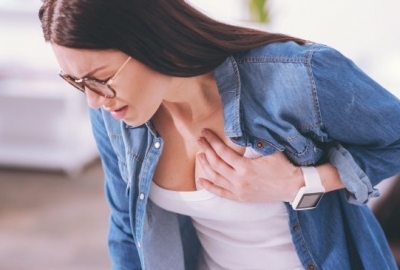 Do not use a face mask that is only meant for twice a week every morning and night. The product should say “for daily use” on it. If after four days straight you can tell that your skin is getting cleaned, but staying hydrated, then that mask works for you. The peel-off mask after two days left my skin burning, a bit flakey and irritated, so clearly it was not the face mask for me even once week, let alone daily.